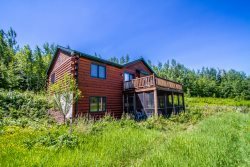 These little vacation cottages near Grand Marais are located on the cobblestone beach of Lake Superior. Experience the North Shore like never before. Opels Cabin 3 is a cozy daydreamer's delight located in Grand Marais on Lake Superior. Opels Hillside is a bright and cheerful Lake Superior view cabin.